The results of a nine-year pursuit may explain exactly how very-low-calorie diets extend maximum lifespan, according to a new study published in the September 22 issue of Science.1 Caloric restriction (CR) has been the only intervention found to extend the maximum lifespan of experimental organisms, from yeasts to flatworms to rodents - and probably primates and humans, although this remains unproved. And although some scientists believe that CR may allow longer life by reducing the levels of oxidative damage to cells, the evidence for support of this mechanism has not been strong. Now a better explanation for how caloric restriction works and how its effects can be achieved by other means has been suggested. A new study offers evidence that it is not the oxidative damage theory but the gene-silencing theory that best explains how CR works. In brief, this theory holds that CR reduces overall metabolism, thereby increasing the amounts of available NAD (nicotinamide adenine dinucleotide), a compound that plays a central role in cellular energy production through the breakdown of glucose. Abundant NAD increases the effectiveness of the protein Sir2p, which prevents ("silences") the expression of certain genes that are thought to be responsible for a cellular aging process involving damage to DNA molecules. The new finding is especially exciting because it points the way to how humans can more easily apply this knowledge and thus perhaps live longer. Since last April, Life Enhancement has argued this position - and broken open the path to its implementation - when first the work of the principal author, Dr. Leonard Guarente, came to our attention in a four-page letter published in Nature.2 In the more recent Science article, Dr. Guarente and associates identify a cellular metabolic pathway that underlies the mechanism of caloric restriction. This pathway has immediately become a drug target, i.e., suitable for the development of a drug, and knowledge of it is causing excitement in the world of pharmaceuticals. The drug community is avid for any opportunity to develop a patentable product, and the new finding, suggesting that the benefits of caloric restriction may be enhanced by improving the efficiency of the metabolic pathway in question, is especially hospitable to a possible drug intervention.3 But the development of a drug is a lengthy and costly process, fraught with pitfalls. We believe that a nutrient solution is far more likely to be of value for life extension. And such a solution is available now, not at some unforeseeable time in the future. In the Science study, when the researchers mimicked caloric restriction in yeast by either physiological or genetic means, a substantial extension in lifespan was shown. What they did was to block the protein kinase-A pathway, which is activated by glucose. Doing this mimics the lifespan extension seen with low glucose concentrations, one of the results of caloric restriction. It is theorized that caloric restriction ends up decreasing DNA-caused cellular damage by increasing the ability (via NAD) of the protein Sir2p to silence the deleterious genes mentioned earlier. 2. The gene NPT1, which is involved in the production of NAD. In other words, life extension did not occur when either the Sir2 gene or the principal gene for making NAD was suppressed. Remember that NAD is more available under conditions of caloric restriction and is a catalyst to gene silencing by the Sir2p protein. Moreover, mutations in the Sir2 gene shortened yeast lifespans, and caloric restriction in mice bearing the Sir2 mutations was of no benefit: lifespan was not prolonged. Nor was lifespan shortened through the activation of genes that increase cellular stress through oxidative damage. This finding detracts from the validity of the oxidative damage theory of aging. 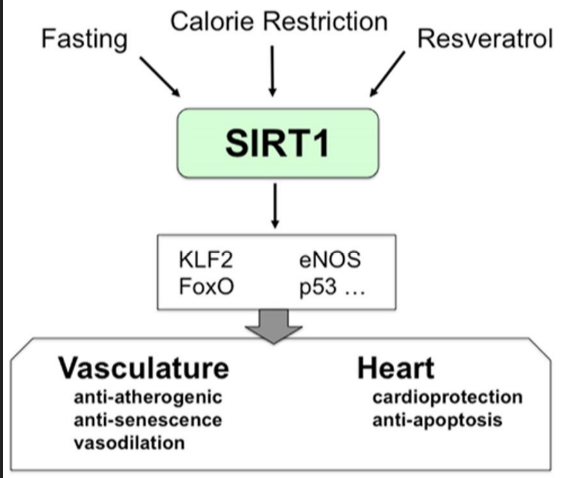 Altogether, these findings strongly suggest that the increased longevity induced by caloric restriction requires the activation of the Sir2p protein by NAD. In other words, if you have enough Sir2p (which is likely) but not enough NAD for optimal gene silencing (inadequate NAD could result from too high a caloric intake), maximum lifespan would not be expected to increase. 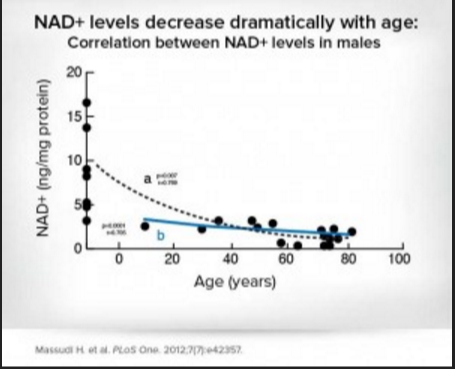 However, if there were some way to produce more NAD, the latest Guarente study seems to indicate that maximum lifespan extension might be possible. Is there a way? According to The New York Times, "Actuaries . . . sharpen your pencils!" According to our analysis, we must be assured of adequate supplies of NAD if we are to optimize the health benefits of caloric restriction, including possible life extension. But as with any other manufacturing process - the human body is a biochemical factory! - supplying adequate amounts of the raw materials is essential. If the machinery is not working, that's one story. If it is inefficient, that's another. Providing an abundance of high-quality raw materials can overcome some losses of efficiency. NAD synthesis requires the ample ingestion of bioavailable amounts of NAD precursors such as the B vitamin nicotinamide, along with the cofactors of its production. According to a paper published in 1990, nicotinamide is a better precursor for the production of NAD than its cousin nicotinic acid (niacin).4 Moreover, it has a long history of use as a nutrient supplement. While both nicotinamide and niacin produce NAD, the extent of synthesis from nicotinamide is about twice as great as that from niacin under physiological conditions. When inorganic phosphate is included as a cofactor, the conversion is stimulated significantly for nicotinamide, but not for niacin. Actuaries, put down your gloomy mortality tables and sharpen your pencils! Heirs and legatees, contain yourselves in patience! If any such drug were to work in humans the same way that this diet of 30 percent less than normal calories works in laboratory rodents, people would start enjoying a maximum life span of 170 years, most of it in perfect health. Could it be that the staid old newspaper has seen something the rest of the media have not yet seen? We may not yet be there, and there is more work to be done, continues the Times. And for the near future, Dr. Guarente is working to see if his theories hold up for roundworms and mice. "If this is general, I think it is profoundly significant," he says. Adds the Times, cutting to the chase, "The reason is that by developing drugs that mimic the effect of NAD on Sir2, [sic; should be Sir2p] people in principle might at one stroke gain the health and longevity benefits of a calorie-restricted diet, which in practice very few people could adhere to." As one would expect, the view of the Times represents an undue reliance on the creation of a new drug to stimulate production of NAD. 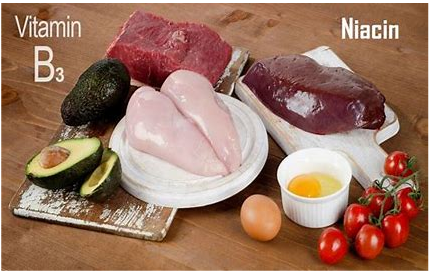 Why not increase the amount of NAD through the use of nutrient precursors instead? Nicotinamide is thought to help prevent diabetes by blocking the destruction of beta cells (which produce insulin) in the pancreas, as well as promoting beta-cell regeneration. Other protective effects of nicotinamide are thought to derive from its ability to prevent the depletion of NAD during DNA repair, and to inhibit free radical formation. Similarly, in studies of at-risk relatives and the general population conducted in New Zealand, nicotinamide appeared to have a protective effect against diabetes.12 Meanwhile, a large, multinational, multicenter trial, the European Nicotinamide Diabetes Intervention Trial (ENDIT), was launched in 1994. In this randomized, controlled trial of nicotinamide versus placebo, approximately 40,000 first-of-kin of people with Type 1 diabetes were screened to identify over 500 subjects at high risk. Analysis of the ENDIT study data is expected circa 2003.13 To date, 552 subjects have been entered into the study, almost two-thirds of whom are younger than 20. Of these, 95 have developed diabetes, and an expected 20% dropped out of the study. Of those remaining, about 40% in the placebo group are expected to progress to diabetes. Based on other studies and early reports from this study, the researchers expect a 35% reduction in the incidence of disease in the treatment group over the course of the proposed 5-year observation period, which began in 1998. In Linus Pauling's famous paper "Orthomolecular Psychiatry," published in 1968, he cited research reporting success in the treatment of patients with severe psychiatric symptoms through the use of moderate to large doses of nicotinamide, in the range of 1.5-18 grams/day, together with 3 grams/day of ascorbic acid (vitamin C). Proclaiming the high level of safety of nicotinamide, Pauling cited among its advantages: cheapness, ease of administration, and the fact that it could be taken for years on end, if necessary, with only a small probability of unfavorable side effects. In his enthusiasm for nicotinamide, Pauling again proved correct, even if he did not foresee where it would lead . . . into what is perhaps the first merging of two of the fields in which he was passionately interested: nutrition and genetics. In the world of science, there are many extraordinary discoveries, but none affect us more intimately than those that improve our health and our ability to live fuller lives. The finding that NAD is crucial for gene silencing and, perhaps, lifespan extension may prove to be one of the most important discoveries of our time. 1. Lin SJ, Defossez PA, Guarente L. Requirement of NAD and SIR2 for life-span extension by calorie restriction in Saccharomyces cerevisiae. Science 2000 Sep 22;289(5487):2126-8. 2. Imai SI, Armstrong CM, Kaeberlein M, Guarente L. Transcriptional silencing and longevity protein Sir2 is an NAD-dependent histone deacetylase. Nature 2000;403:795-800. 3. Wade N. Scientist at work: Dr. Leonard Guarente searching for genes to slow the hands of biological time. The New York Times September 26, 2000;D1. 4. 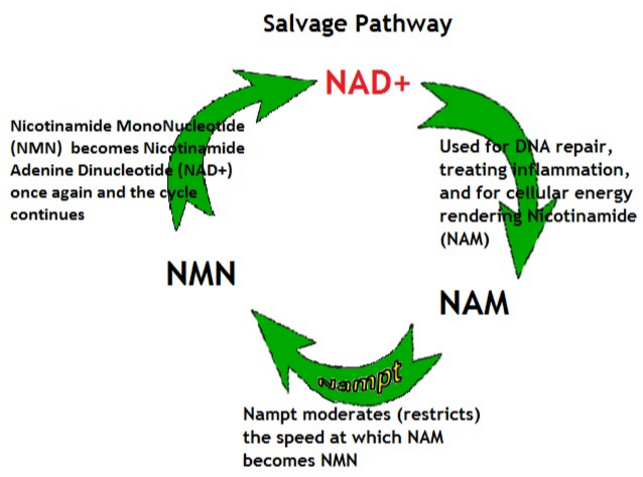 Micheli V, Simmonds HA, Sestini S, Ricci C. Importance of nicotinamide as an NAD precursor in the human erythrocyte. Arch Biochem Biophys 1990 Nov 15;283(1):40-5. 5. Hoffer A. Use of nicotinic acid and/or nicotinamide in high doses to treat schizophrenia. Can J Psychiatric Nursing 1966;76:5-6. 6. Pozzilli P, Visalli N, Signore A, Baroni MG, Buzzetti R, Cavallo MG, Boccuni ML, Fava D, Gragnoli C, Andreani D, et al. Double blind trial of nicotinamide in recent-onset IDDM (the IMDIAB III study). Diabetologia 1995 Jul;38(7):848-52. 7. Olsson AR, Sheng Y, Pero RW, Chaplin DJ, Horsman MR. DNA damage and repair in tumor and non-tumor tissues of mice induced by nicotinamide. Br J Cancer 1996 Aug;74(3):368-73. 8. Gale EA. Theory and practice of nicotinamide trials in pre-type 1 diabetes. J Pediatr Endocrinol Metab 1996 May-Jun;9(3):375-9. 9. Klaidman LK, Mukherjee SK, Hutchin TP, Adams JD. Nicotinamide as a precursor for NAD+ prevents apoptosis in the mouse brain induced by tertiary-butylhydroperoxide. Neurosci Lett 1996 Mar 8;206(1):5-8. 10. Gale EA. 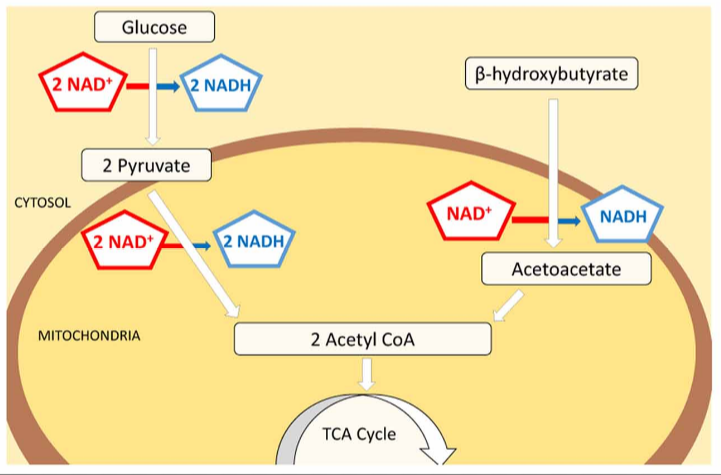 Molecular mechanisms of beta-cell destruction in IDDM: the role of nicotinamide. Horm Res 1996;45 Suppl 1:39-43. 11. Elliott RB, Pilcher CC, Stewart A, Fergusson D, McGregor MA. The use of nicotinamide in the prevention of type 1 diabetes. Ann NY Acad Sci 1993 Nov 30;696:333-41. 12. Elliott RB, Pilcher CC, Fergusson DM, Stewart AW. A population-based strategy to prevent insulin-dependent diabetes using nicotinamide. J Pediatr Endocrinol Metab 1996 Sep-Oct;9(5):501-9.